As the grandson of a Lithuanian born lady from Kaunas, I'm interested in the story and current matters of the Baltic states (Estonia, Latvia and Lithuania). First Night piqued my curiosity because they are from Tallinn, the Estonian capital located on the Gulf of Finland by the Baltic Sea. After listening to their first album for about a month now, I can safely say it's their music I'm interested in. First Night started in 2016 as the vehicle for Reneck Sweet's compositions, and to that end the singer teamed up with friends Tivas and Aasamae from the band Rising Sun, for whom Sweet sang up until 2007 when he left to explore the world. 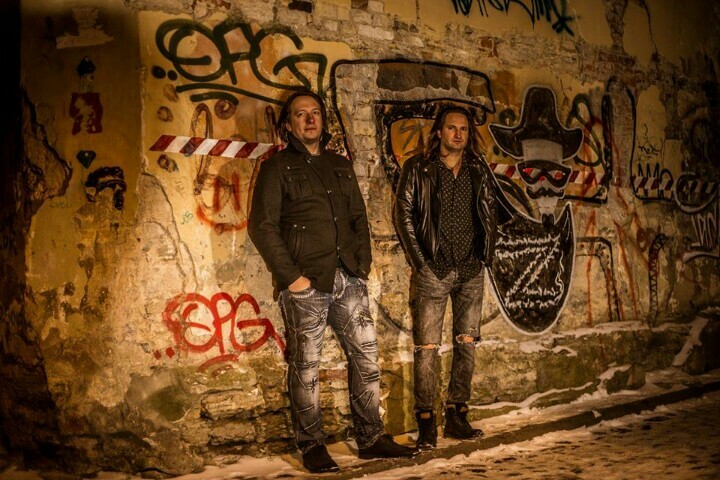 The band delivers classy melodic rock and AOR with wisely dosed influences the likes of Bon Jovi, Bryan Adams, Def Leppard, Dare, Stage Dolls and Spanish rockers 91 Suite as examples. There are some quality road trip-inducing songs here, with catchy guitar solos as a rule, an expressive mid-range singer with no English pronunciation issues, some traces of synth pop and melodies in abundance. Production undertaken by Tivas is correct and devoid of excess. 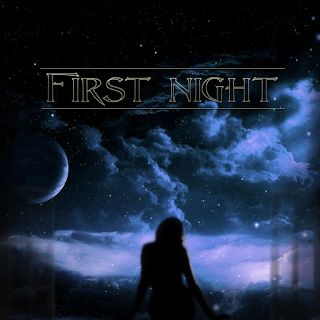 The album cover depicts an intriguing Baltic night and that is the atmosphere of the instrumental 'Intro' that hints at the chords of 'First Night', a song with a soft, melodic vocal line not far from early Bon Jovi or even Mike Tramp, with punchy guitars and prominent keys. 'Breaking My Heart' pleases with its Boston-like guitar riff and an insistent chorus line. 'Let Me Show My Love To You' has a heavy, chugging riff that interacts with keyboard layers and the harmonies here remind me of prime time Hardline circa 1992. Midway through the album, we've got some of the most enjoyable songs. The fresh 'Stop Dragging Me Around' and its immediate chorus bears comparison with mid 80's Bryan Adams, while the memorable hard rock of the single 'Dangerous' with those playful keyboards and pounding drums is irresistible. The slightly melancholic 'Can't Keep Losing' could have perfectly been penned by one Mutt Lange: chugging single-note guitar riffs, velvety refrains, catchy keyboard phrases and a surprising sax solo, a true hit given the right conditions in the music scene. Next is the vibrant 'That Ain't Love'. Ah, the sky-high keys and harmonies here! Soaring power ballad 'Night Is Calling Me' falls into Def Leppard territory and the back to back sax and guitar solos succeed. So does the AOR disguised in the synth pop start of 'Going Down' with its sing along chorus. Once again closer to Bryan Adams' 'Reckless' era is 'Love Is On The Run', this time in ballad form. One could only hope Adams was still producing this kind of material. 'Out Of The Fire' is vital melodic rock while 'I'm Loving You' is a proud mid-tempo with clever arrangements. 'Endless Night' works perfect as the last song, sort of an AOR road song, fresh and young spirited to wrap things up on a high note. First Night offers a collection of the best we love about the glory days of AOR. Perhaps the fact that this album was composed and recorded outside of what we call the mainstream market gave the band perspective and freedom in order to produce something vintage but still relevant. Not too much to mention under areas of improvement, maybe a little more sonic aggression would fit them well. Yes, they honor their influences, but all is glued together with personality and a deep knowledge and true love for the AOR genre. This is one of those unexpected surprises that comes out of nowhere. I agree with the influences mentioned in the review (although I'm not too familiar with the last two). I'll add Great White and Dokken, although definitely a much smoother and lighter version. Sweet can sound like a mellower Joe Elliott at times. The sax solos in two of the songs work surprisingly well. I think this album manages to sound different from the pack while sounding familiar and comfortable. Well, when I say "different from the pack", I have heard albums that try to achieve what this one actually does. The execution here is spot on. It manages to be one that has very good straight-through and repeat playability, and it is working well when I through the songs into a random mix.